After more than a year of inewsource stories on the topic, the San Diego Rules Committee on Wednesday firmed up a vague law called Section 225 that mandates everyone doing business with the city disclose the financial interests behind the deal. At its core, Section 225 of the city charter requires that people, corporations, limited liability companies and other entities not only disclose their names when entering into deals with the city, but also the names of the people who stand to benefit from the transaction. For example, if the city sold land to Company A, it couldn’t simply list another corporation – say, Company B – as the owner and call it a day. Instead, Section 225 mandates Company A disclose the names of the people behind Company B. This is important because San Diego now contracts with more than 1,000 companies each year, and those contracts collectively are worth more than a billion dollars. As time has proven, taxpayers and local leaders need to know who is behind those deals. According to Bry and the Office of the Independent Budget Analyst, the city said it’s been collecting and saving information on all contracts that go through its Real Estate Assets and Purchasing and Contracting divisions for the last 2½ years. Except, as inewsource discovered, the information isn’t always complete. inewsource’s first story in this investigation last year found that out of the 38 contractors that account for more than half a billion dollars in city business, only four disclosed the names of their board members or corporate officers. None disclosed all the information required under the San Diego law. Last month, inewsource requested all disclosures collected by the Real Estate Assets Division since July 2016 (when a city spokesman told inewsource the division modified internal operations and would retain the disclosures). The city provided 31 of them – the majority containing all the information required, but a third still missing identifying information. Park & Market Development Partners, LP, for example, is building a quarter-billion dollar development in downtown San Diego. It is a Delaware LLC, one of the most opaque corporate structures when it comes to transparency, and its financial disclosure to the city listed another Delaware LLC as the majority shareholder. A handful of nonprofits, including Casa de las Campanas, King-Chavez Academy of Excellence and Balboa Park Carousel, also didn’t disclose their financial interests. Yet their corporate structures are available for viewing through online searches of nonprofit-related websites such as GuideStar. Part of the reason Section 225 hasn’t been enforced since voters overwhelmingly approved it in 1992 is because the language that defines it is so vague. But the law never defined “transaction” or “directly or indirectly involved”; it never said how to establish “identity”; it didn’t elaborate on what the term “precise interest” meant. 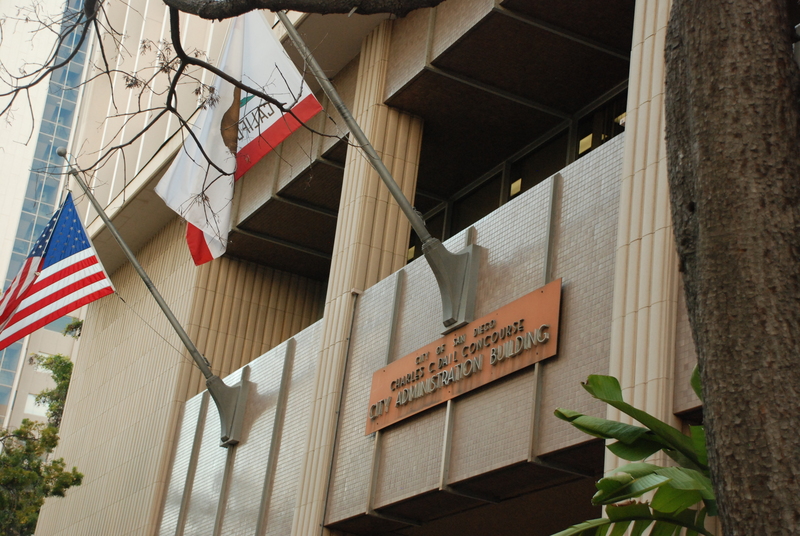 The Rules Committee’s unanimous vote established those definitions by adding a new section to the municipal code, which is different than the city charter. Any change to the charter requires a public vote, which is set to take place in November 2018. Wednesday’s action is a temporary solution and will be automatically repealed once the charter vote happens. inewsource asked Bry if a possible next step in transparency could involve making all the disclosures digital and searchable, possibly through San Diego’s Open Data Portal. “I think that’s a good idea,” Bry said.